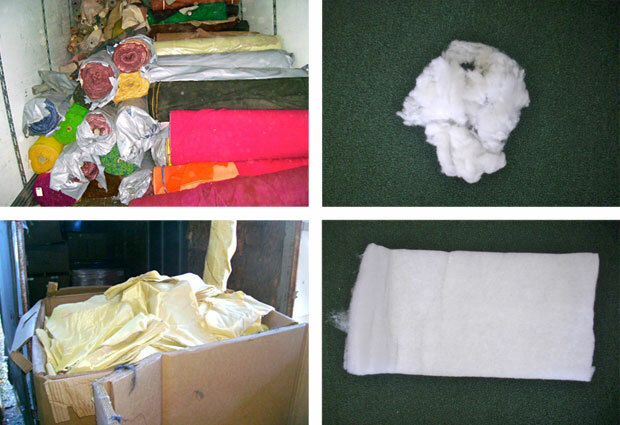 We recycle most types of synthetic textile by-products including nylon, polyester, acrylics, and Aramids / Kevlar in trimmings remnants or raw fibers. We are always interested in most types of textile by-products or obsolete goods in roll form including fabrics ( woven and non-woven ), yarns and trimmings. Coated fabrics are a specialty of ours whether in rolls or remnants and we can use trimmings of certain types of coated fabrics. We also specialize in textile-reinforced rubber goods such as conveyor belting and pressure hose.